Searching books isn't always a piece of cake, especially with a never-ending virtual bookshelf and a catalog with multiple editions. Jenn, to the rescue with some handy tips for all BookLikers! The first and best way to find a title in the book database is to search by ISBN (or ASIN). 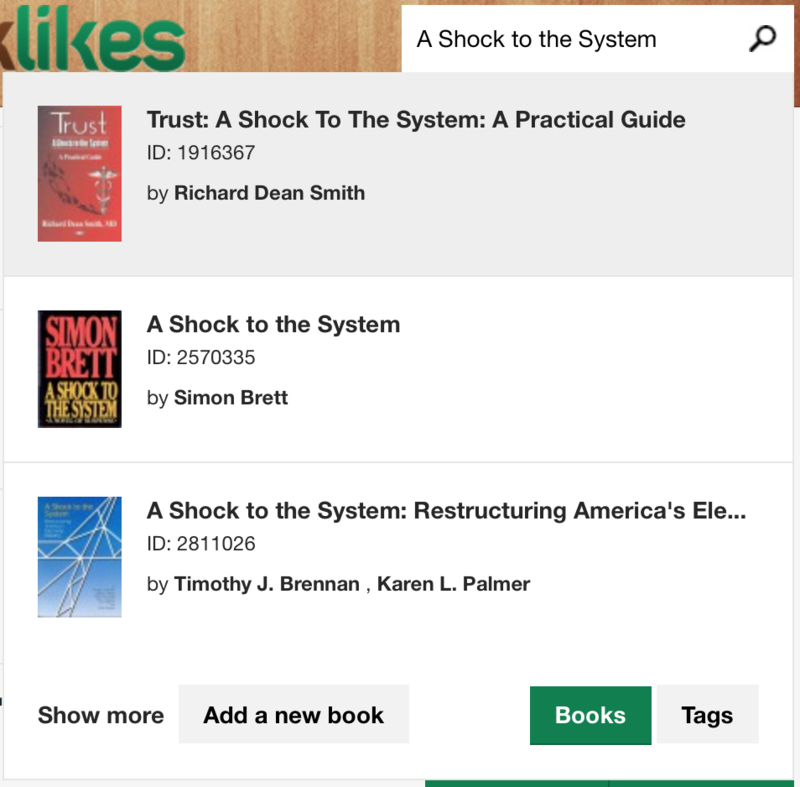 There are a couple of benefits to using ISBN for searching: it will find the edition you have in your hand, and if it isn’t in the database, searching by ISBN/ASIN will kick off an import of the book, saving you all the work of having to either add it yourself, or asking a librarian to add it for you. Sometimes you don’t have the ISBN/ASIN handy, or the book is too old to have one. 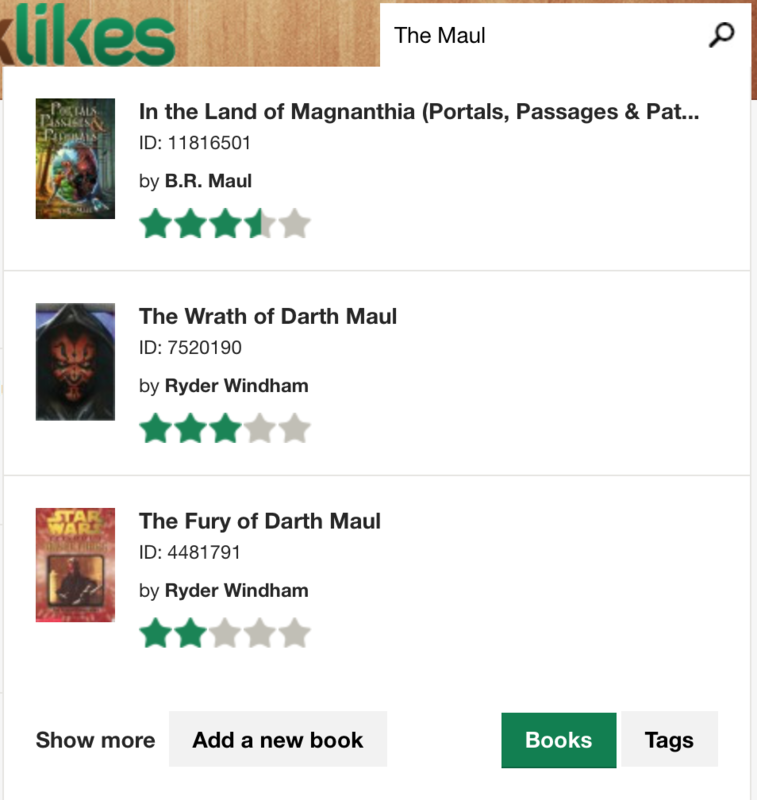 Then it’s helpful to know a few tips about how to get the most out of BookLikes search. 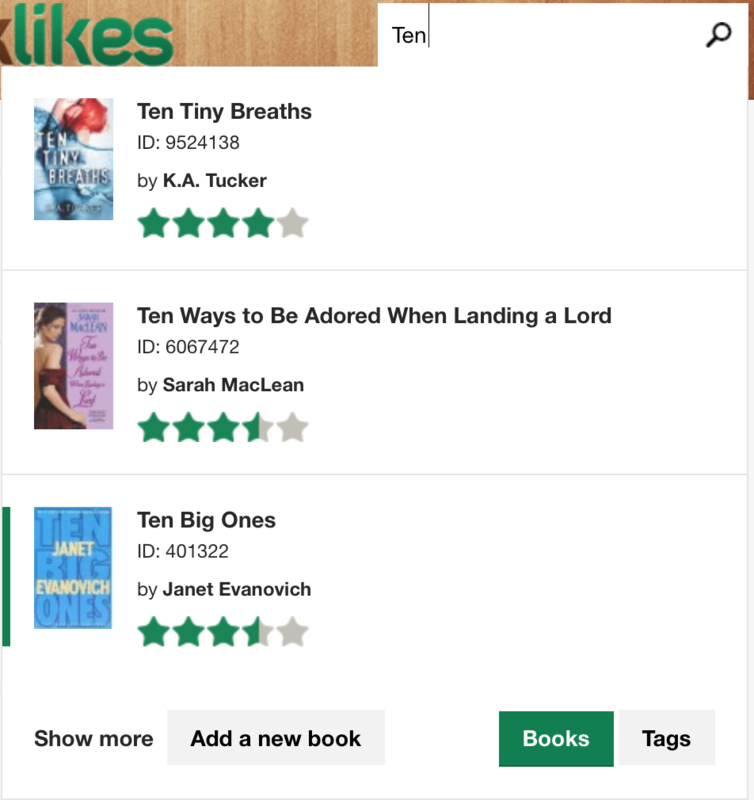 Note: there are two search fields covered in today’s tips: the BookLikes database, which is the field at the top right corner of the BookLikes pages, and the search field on your shelf page, which only searches the books you’ve shelved and has a different set of rules. 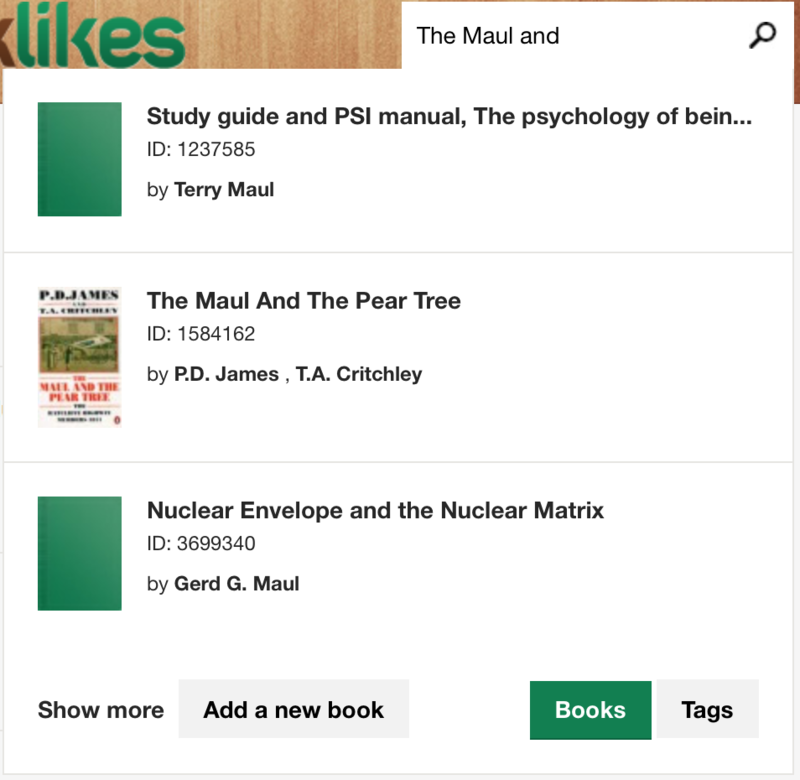 Generally, searching by title is very straightforward, especially for unusual titles, like The Maul and the Pear Tree, but the infinite variety of titles guarantees that some will work better than others without having to tweak how you search. Articles A / An / The are optional: UNLESS it’s a really common title. So while The Wychford Poisoning Case and Wychford Poisoning Case will both return the book I’m looking for, if I try to search for A Shock to the System by Simon Brett, I’m better off including that A. Special characters: The book database search is pretty forgiving overall (see note below) when it comes to &, apostrophes, commas, non-english alpha characters etc. 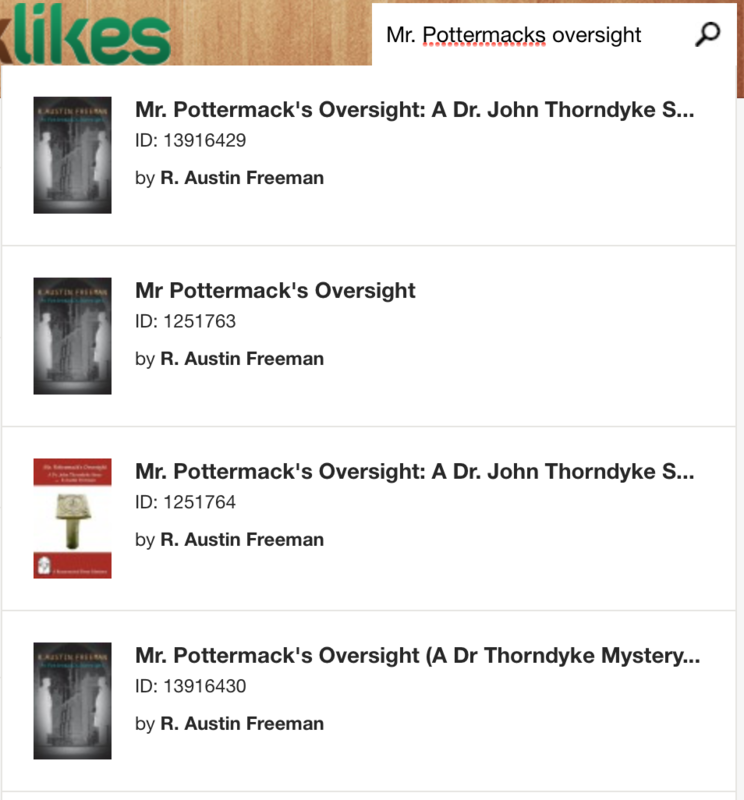 So searching for Mr. Pottermack’s Oversight will work as well as Mr Pottermacks Oversight, although the number of results returned might vary. Likewise, searching Jo Nesbø will return results for Jo Nesbo and vice versa. When you’re getting too many results and none of them are the book you’re looking for. Ten McNeil also works, but gives us two results. It’s always better to use the least common words when you have the choice to do so. So if you’re trying to find a title that’s likely to return a lot of results, using part or all of the author’s name too will find your book faster. Because the BL database searches for all records that match the words you searched for, omnibus editions, if they exist, will appear in the results. 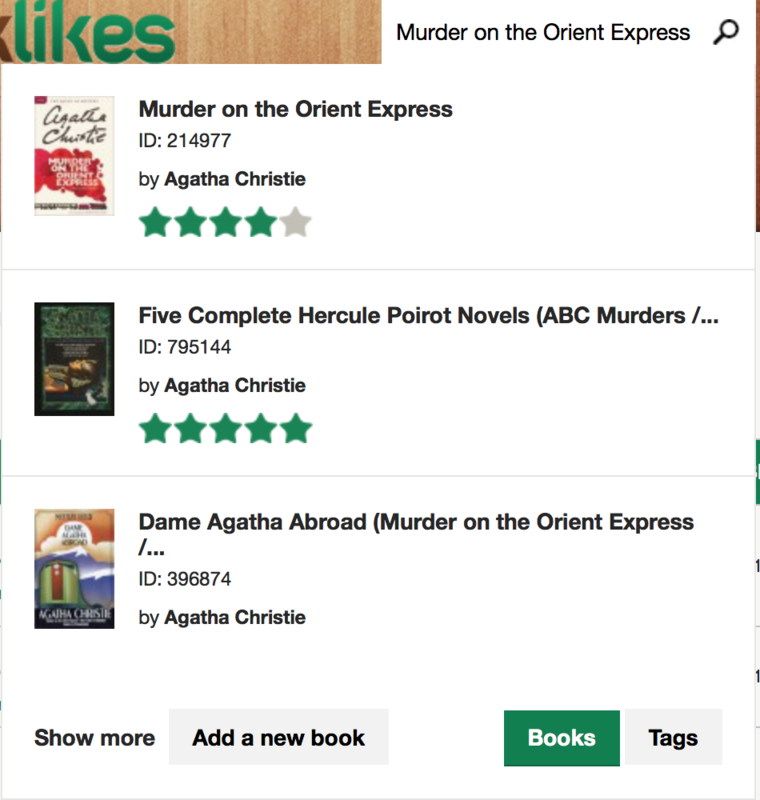 So searching for Murder on the Orient Express will return the single title edition as well as any omnibuses that include it as part of the title. Most of the time the single edition title will appear at the top, but sometimes the omnibuses will overtake them and you’ll have to do a bit of scrolling. PLEASE NOTE: At the time of this writing, books that have been published under different titles in different countries and tied/combined together in the system can only be found by one of the titles (the ‘main’ one). For example, Agatha Christie’s book Lord Edgware Dies was published in the US as Thirteen at Dinner. As it’s the same book, they’re combined under Lord Edgware Dies. This means that, at present, a search for Thirteen at Dinner only turns up omnibuses that contain that story. 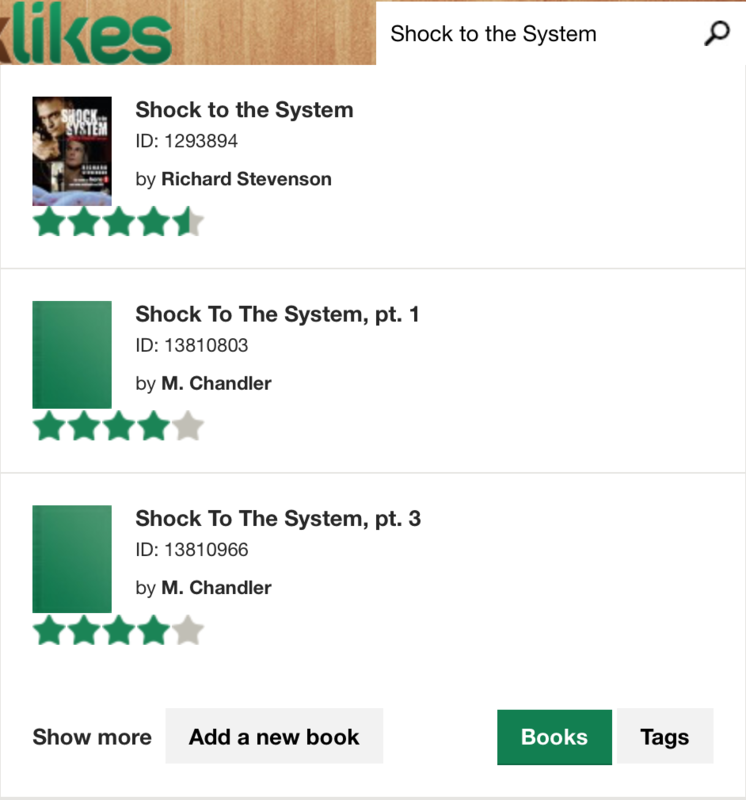 This is a bug and it has been reported to BookLikes. In the meantime, if you can’t find your book and you know of an alternate title, try searching by that title. 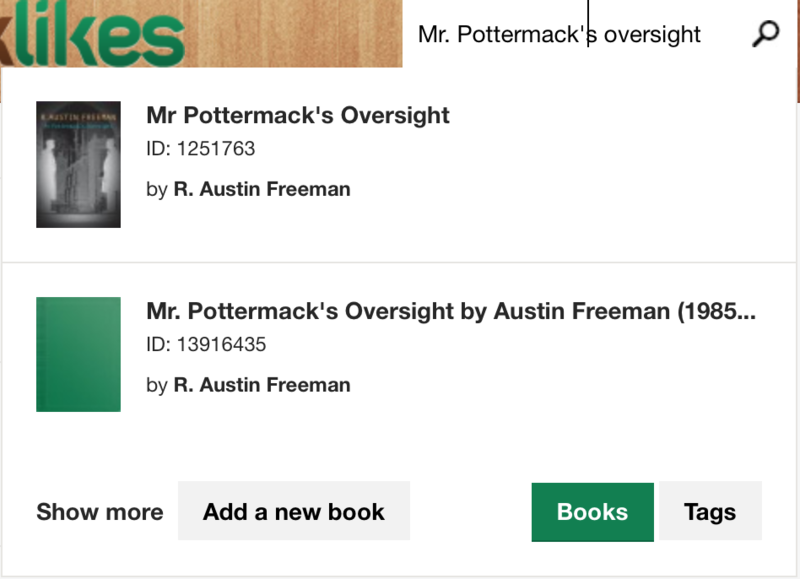 The search function for your shelves (the field that sits atop your shelves instead of at the top right of the page) is an entirely different beast from the book database search and can be summed up briefly: This is an EXACT MATCH search function. If a title has apostrophes, commas or any other special characters and you don’t include them, the search won’t find your books. This means if I’m trying to find The Devil’s Novice by Ellis Peters on my shelves and I type in The Devils Novice (no apostrophe), it’s going to return zero results. How to get around this: I either have to include all the punctuation in the title OR just search for a part of the title. So searching Novice (or novice - it’s not case sensitive) will bring up my shelved book. Other searches that will work include: Devil (because it will search partial words), and Ellis Peters although these will return multiple results. Note: you cannot use partial words combined with additional terms: Devil Ellis or Devil Ellis Peters does NOT work; partial words must be used alone. The best rule of thumb for searching your shelves is, unless you know the EXACT name of the book, stick to a few words of the title: Miss Peregrine instead of Miss Peregrine's Home for Peculiar Children. The shorter the search terms (while still keeping them effective) the smaller the margin of error. Still not finding your book? Is it spelled right? 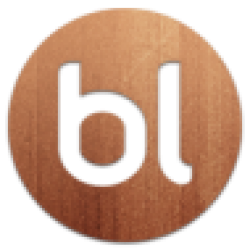 It’s always worth double checking, as BL doesn’t have “did you mean” functionality. If the book has been published under an alternate title and you know it, try searching by that title instead and then looking under “other editions” on the book page. Search by ISBN/ASIN: if it’s not in the system, it will be by the time the search finishes. 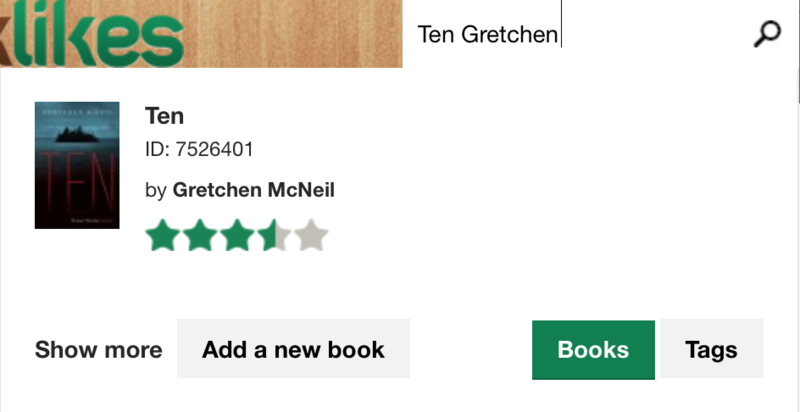 If there’s no ISBN/ASIN on the book, try searching by author; sometimes a record will have the wrong language setting, keeping it from appearing in the results. Add the book. If it’s still nowhere to be found, please consider taking the time to add the book to the database so that it will be there when the next reader comes looking. Have you had a particularly challenging time trying to find a book? If so, please share it in the comments below; sometimes a title needs some special love from the librarians (bad imports leaving languages out, etc), or someone else might have a tip to make those searches work better.